Often the course will be open the day before for walking. Go and have a good look around, and take full advantage of the free course walks that the Virbac 3D Worming BE80(T) coaches will be doing! On the day, arrive in plenty of time and scout out the arenas – find out where everything is located. There can be long distances between the different areas, so knowing where you need to be will make sure you don’t have to worry about being late. Make sure your hat and body protector fulfil the current standards, and ensure you get your hat tagged at the Secretary’s tent. It goes without saying, but make sure you practice your test and know it well. On the day when your nerves kick in, knowing your test inside out will mean you can concentrate on riding your best. Before the day, double check that all of your tack is dressage legal, especially bits. As soon as you get to the warm up arena, introduce yourself to the steward, so that you’re not rushing when it’s time to enter the arena. Give yourself plenty of time to warm up, and make sure that you take advantage of the Virbac 3D Worming BE80(T) coaches that will be there to help you. Check whether the show jumping is running in time order or declaration order, and make sure that you arrive in plenty of time. Walk the course beforehand, and make use of the guided course walks that the Virbac 3D Worming coaches will be running regularly throughout the day. Know how the faults work for show jumping. For example, if you have a refusal at the second part of a double, remember to jump both parts again! Make sure you have thoroughly walked the course! The Virbac 3D Worming BE80(T) coaches will do several course walks, giving lots of tips and advice. Look out for the scheduled times online, in the secretary’s tent or give the coach a call to find out. Make sure you understand cumulative refusals around the course. Make sure you’re riding within the capabilities and fitness of your horse. Once you’ve completed your cross country round, hop off your horse, loosen the girth, walk them round to cool off, and give them a big old pat! Your Virbac 3D Worming BE80(T) coaches are there to help for the whole day. 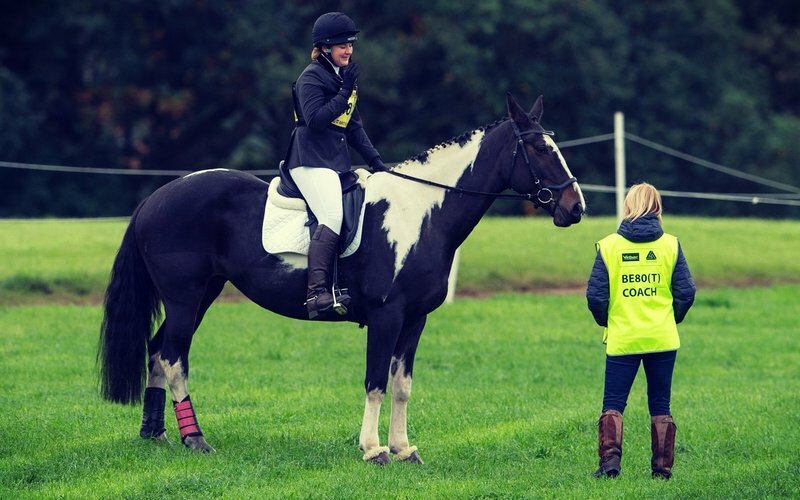 If you have a question about anything, from riding to tack to rules, don’t be afraid to ask! And, perhaps most importantly of all, enjoy your day!